The scheduled time for the ladies from Local Flavor NWA to visit, interview and photograph was such an incredibly fun afternoon!! I decided to make a full brunch, starting with a lively cocktail, and ending with a sample of Patron Cafe XOXO. Both Rhonda and Maliah have incredible talent, which is evident in the cookbook they produced, and in all they do. I hope you enjoy the stories and pictures as much as I enjoyed my time among such brilliance. Combine cranberry juice and Grand Marnier. 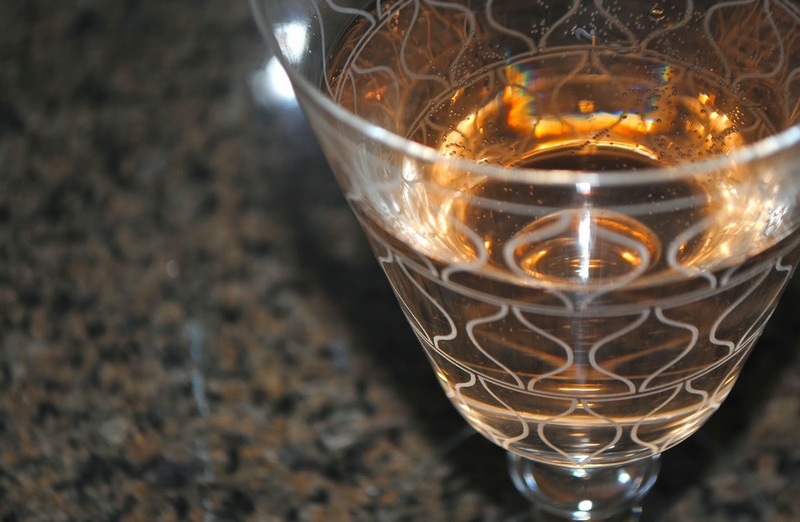 Divide equally among glasses, fill 2/3 full with champagne and top off with ginger ale. Mix grapefruit with honey, spoon into serving dishes. 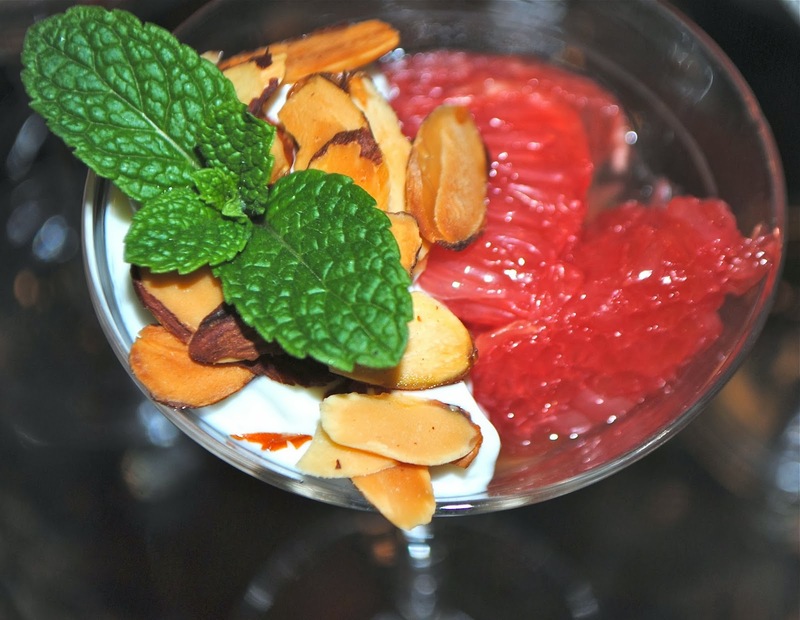 Blend together the yogurt, almond extract, and grapefruit rind. Garnish with sliced almonds. In a small bowl, mix together the lemon juice, shallot and coriander. Gradually whisk in the olive oil. Season to taste with salt and pepper. Heat skillet over medium-high heat. Add prosciutto and sauté until crisp, about 5 minutes, let cool. 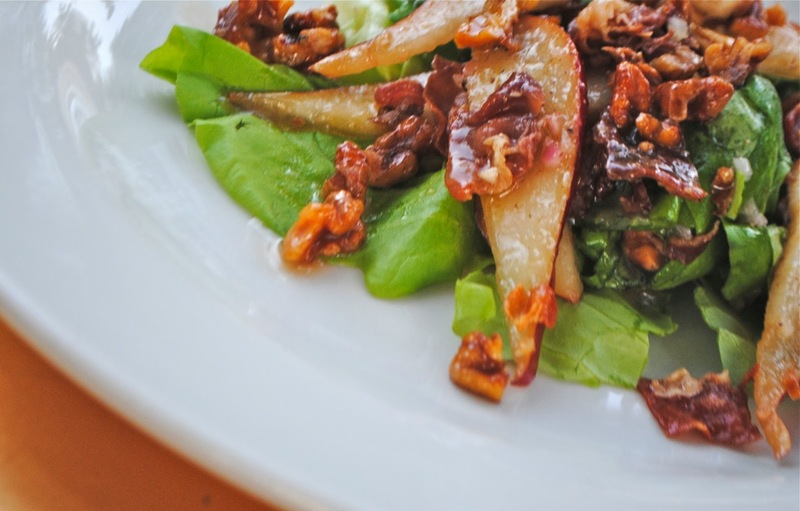 Place lettuce on plates, or in serving bowl, top with pear slices, walnuts and prosciutto. Fit pastry sheets into 10 inch tart pan. Chill in refrigerator for 15 to 20 minutes. Cook potatoes until just tender, drain and refresh under cold water. Heat oil in skillet and sauté onion, bacon and garlic until just beginning to lightly brown. Whisk together eggs, cream, salt and pepper. Stir in the potato mixture and pour into prepared crust. Arrange tomato slices on top. Bake for 20 to 25 minutes. Reduce heat to 320F, and cook a further 20 to 25 minutes, or until set. Cool for 10 minutes, then remove from tart pan. 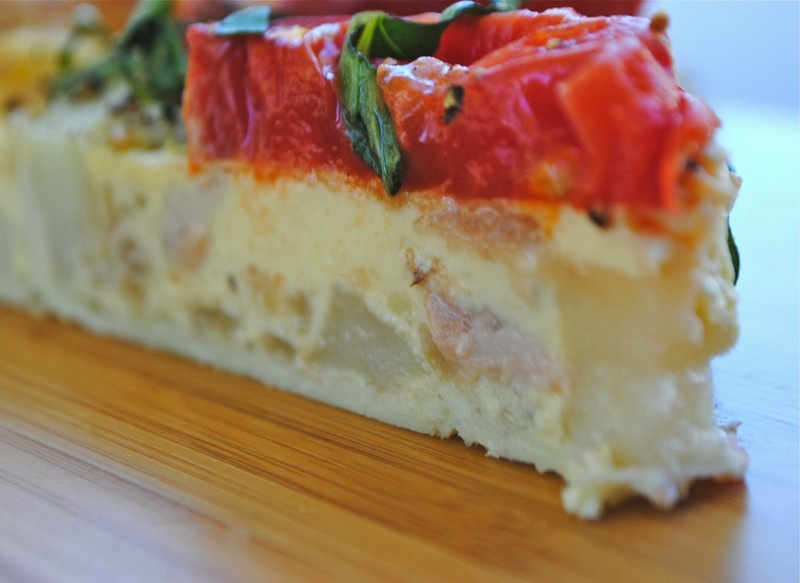 Cut into wedges and serve with the basil leaves.